Drivers looking at buying a car which could help them make savings at the pump may be interested in the latest option being offered on the Fiat 500 range. The manufacturer has revealed customers will be able to choose a version of the vehicle fitted with its Start&amp;Stop system. It explained the technology automatically turns the engine off when the car is stuck in traffic and restarts it again when the motorist is ready to move off. 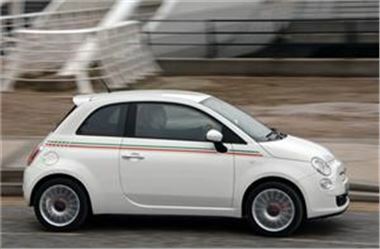 Figures from Fiat showed drivers of the 1.2-litre engine version of the model can expect to make fuel savings of up to 12 per cent, compared with the original edition. Managing director Andrew Humberstone said: "This is an important development for the 500 as it will help to make what is already a fuel-efficient, value-for-money car an even greater consideration for town and city drivers." Buyers who are downsizing from a larger vehicle may also find the model allows them to save money on car insurance.